File Types: JPG,EPS,All Files; File Size: 124.08 MB; Tileable: Yes; DPI: 300 DPI; Vector: Yes; Dimensions: 5000 x 5000 px. 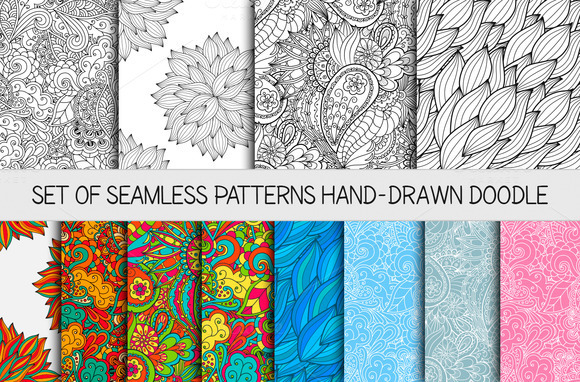 Set of 12 seamless doodle pattern hand-drawn. - 12 JPEG files 5000 x 5000 px Color Mode ЁC RGB. Thanks for looking!